So, you’ve decided you need a biometric timeclock, but you’re not sure what system to invest in. At BioAccSys Australia we offer a large range of time and attendance recording systems for Brisbane and Gold Coast businesses. To help you narrow your search, here are our top 4 time attendance systems. A simple, yet elegant system, the TA700W features a biometric scanner with WiFi capability. User-friendly and efficient, this system is perfect for small to medium sized businesses. Get rid of messy wire and unreliable punch cards, with this system your employees simply scan their fingerprints and go on their way. All attendance data is then stored using the cloud-based program TimeTec TA. 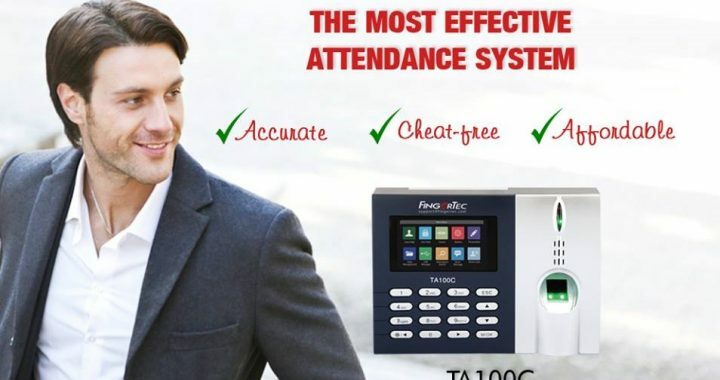 Equipped with the latest precision fingerprint scanning technology, the TA200plus can be used for both time attendance and door access devices. With exceptional storage capacity and a beautiful design, this system syncs your terminal to the bundled software (FingerTec’s TCMS V2) to allow processing of attendance data to assist with report generation and payroll processes. Reliable and contactless, this little system is perfect for small to medium sized businesses. This system uses a combination of face recognition, pin-code and RFID card authentication to ensure accurate time attendance. The innovative design of the terminal allows easy positioning and alignment, so your employees can authenticate without a fuss. The FingerTec Face ID 2 is a great time and attendance recording system and offers dual biometric authentication methods. Using both fingerprint and face scanning, this system ensures accurate personal identification and authentic data collection for time attendance and door access. WiFi enabled, this system will upload all data to cloud-based software, TimeTec TA or TCMSv3, to assist with payroll processing and report generation. Still undecided? Contact BioAccSys Australia direct and ask us for a recommendation. We will access your business size and requirements and suggest the right time and attendance recording system for you.